Music and Memphis are synonymous - the main reason visitors generally travel to Memphis is to delve into the home of the blues and rock 'n roll and visit the iconic shrines to the city's great musical heroes, most notably 'The King', Elvis Presley. Lovers of music will certainly find every bit of this colourful city memorable. Memphis' most popular attraction, Graceland, is the second-most visited house in the United States and sees fans of Elvis make pilgrimages to his mansion all year round. 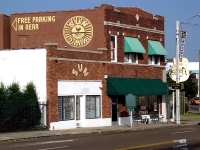 Another favourite is the Memphis Rock n' Soul Museum, a unique interactive museum detailing the history of soul and rock in America. 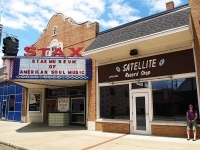 The Stax Museum of American Soul Music is also an attraction worth visiting. Located at the original site of Stax Records, the museum pays homage to the legendary artists who recorded there. 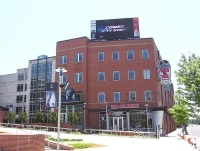 May in Memphis sees many music festivals, visitors can enjoy the Beale Street Music Festival, among others. 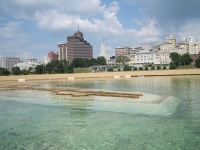 For those who are interested in more than just the music scene, the Memphis Botanic Gardens are a wonderful outdoors experience and can be enjoyed any time of year, Mud Island in the Mississippi River is great fun for the whole family, and the Memphis Zoo is one of only a handful in the US that houses giant pandas. The second-most visited house in the United States after the White House, the Graceland Mansion was home to a world leader of a different kind, the 'King of Rock 'n Roll', Elvis Presley. We are looking for contributors for our Memphis travel guide. If you are a local, a regular traveller to Memphis or a travel professional with time to contribute and answer occasional forum questions, please contact us.